At The Hitting Vault, we frequently get asked about the best products to use to start capturing data on our swings. There are currently several products available on the market to analyze your baseball or softball swing and provide the data you need to get better. Blast Motion, Diamond Kinetics, Garmin and Zepp (now defunct) are a few of the most popular swing analyzers out on the market right now. Capturing data and analytics on your swing is important, it’s critical that you don’t overlook the foundational elements of a powerful swing. When the mechanics of your swing are in a good spot, you’ll see the metrics on your swing analyzer improve… and ultimately hit for more power! If you’re just getting started, check out our post on baseball hitting drills for beginners to get a better idea of our approach to teaching the swing, and a few hitting drills that can help get your mechanics in a good place. Once you’re ready to start measuring and analyzing the data on your swing, we recommend using a swing analyzer tool like Blast Motion to get some baseline metrics on your swing and start working on The Hitting Drills in The Vault to improve on those metrics. Alexa Peterson, a hitting coach for The Hitting Vault who also does many of our swing analyses for current members, happens to know one of the key account managers at Blast Motion. 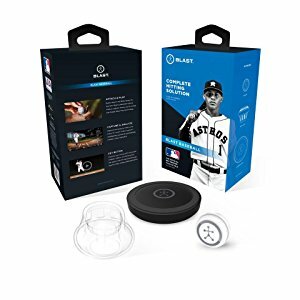 Brett Thomas, former baseball player at the University of Oregon, agreed to an interview with Alexa to tell our members what Blast Motion is all about as well as about some advice from his college baseball experience. In a nutshell, what is Blast Motion? What are some of the metrics that Blast Motion can measure? How did you create “goals” for each metric? At what age would you recommend kids start using the Blast Motion sensor? 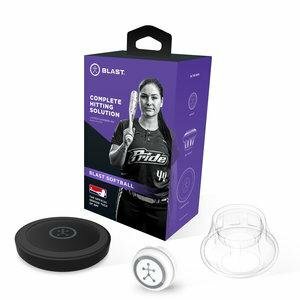 Are there any top baseball or softball programs that currently use Blast Motion? You played baseball at the University of Oregon. What factors did you take into account when deciding on which college to attend? You led the Ducks in hitting your sophomore year, what were some of the mental processes that you went through from at-bat to at-bat, series to series? How did you stay mentally tough during times of failure? If you could go back and tell yourself one or two things prior to college or during college, what would you say? “Prior to College – establish those good training routines. I didn’t understand until I got to college what it meant to prepare. The Hitting Vault is the most popular, most trusted and highest rated online hitting community. It was created to teach athletes how to move their body to unlock their most powerful swing. It’s designed to help coaches get optimal results from their athletes. Join and get access to over 100+ exclusive videos for members and step-by-step instruction so you’ll know exactly how to unlock your power at the plate. Want to be a better Hitter?